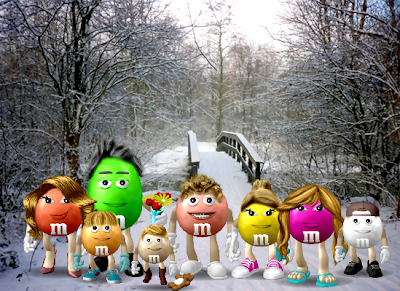 Meghan made this M&M portrait of our family and we wanted to place it on our blog! Yummy! Those m&m guys are so cute! Meghan, you captured everyone's personality. Good job! I like the new header. So creative as always. Who took those pictures? I'm so happy you started your blog, Robb! It is a joy to see what your family is up to. I wish we could've spent a little more time with you guys while we were in town. Crazy times. I also enjoyed your photo blog. Fun photos.